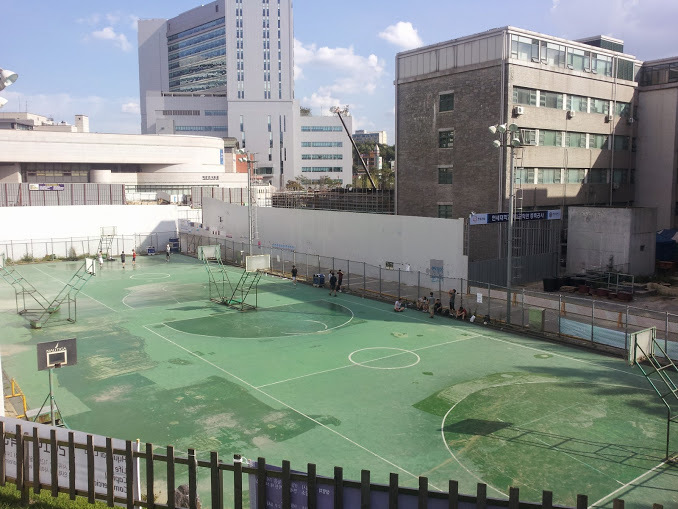 Yonsei University has two full-size basketball courts. 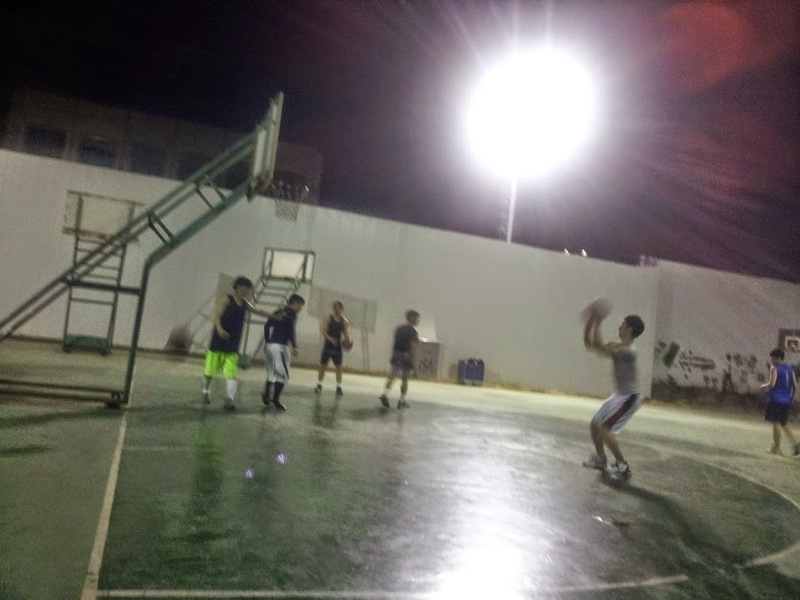 Because the courts are on a campus with a large student body, the courts provide a steady flow of pick-up basketball games. Yonsei University is one of the most prestigious universities in South Korea. It sits at the foot of Ansan (An Mountain) in western Seoul and boasts one of the nicer campuses you're likely to see in Korea. The outdoor courts aren't in the greatest shape, but that doesn't seem to keep the competition away. Plenty of ballers, typically students, visit the courts on a regular basis looking to get a little exercise. 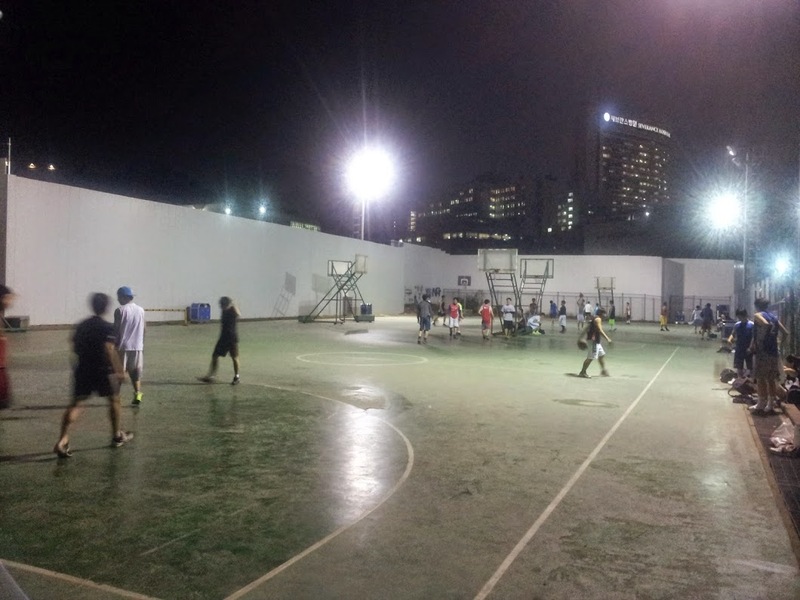 If you live around Sinchon or Hongdae and are looking for a place to play basketball, give Yonsei University a shot. The courts have a green, hard top. It is a little slick in some places. In other spots, you have got to be careful because the court is ripped up. Overall, it presents no huge hazards. It gets the job done. Right around the time when classes dismiss for the day, the courts tend to see a lot of action. It's a great time and place to find some pick-up games. The competition is varied. Sometimes, some pretty tough competition shows up ready to play. Be prepared to get schooled. 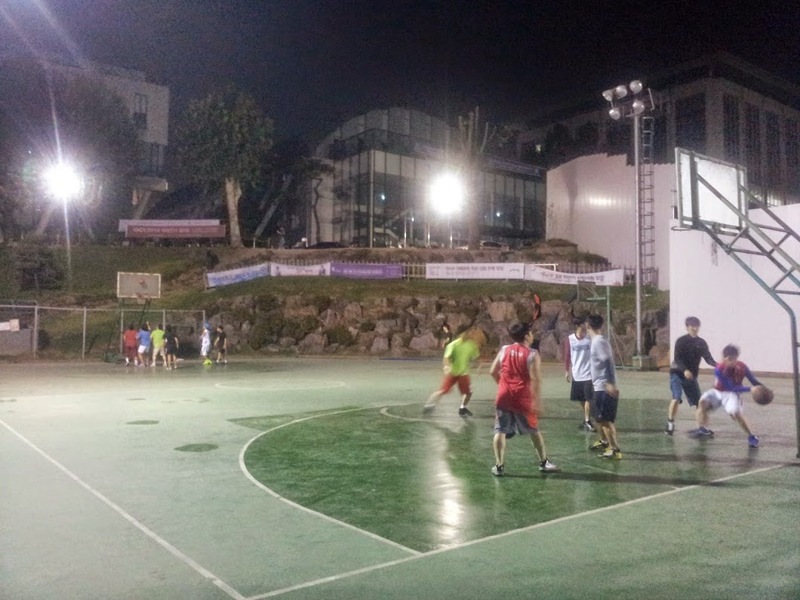 Yonsei University is a great spot for evening games. Lights get turned on nightly when the sun goes down. The courts stay quiet during the day. It seems that students are not too interested in skipping classes at Yonsei University. There has been a major construction project going on around the courts for some time. Be prepared to be inconvenienced. Bathrooms are found inside the gymnasium next to the courts. It's doors are usually open. Yonsei University has a very scenic campus. Strolling around the campus is recommended. To see more photos, check out the Yonsei University Basketball photo album. -Go out exit 2 or 3. Walk straight down the street until you go under a bridge and reach a busy intersection (the bridge will come soon after passing a large church on the right). -Cross the street and walk into Yonsei University's campus. Follow the campus's main thoroughfare for about 300 meters. The courts will be on the left.